Life is all about cashing in on opportunities or missed opportunities. There is this story about how the Footwear industry, sometime in the early 80’s, was struggling to grow in established and mature markets and were looking for newer markets to expand and grow their business. One of the major footwear company, decided to send a team of Marketing team with some R&D folks to the African sub-continent and study if they could explore that market. After studying the market, the Team returned back to the Corporate Head Quarters and submitted their report. While presenting the report before the Board, they didn’t seem to be very excited and said that“there is no market over there, because most of them don’t wear shoes”. At the same time, another Footwear company (their competitors got wind of this company’s project) sent their team of Marketing & R&D folks to the very same place – African Sub-continent and do a market study. After studying the market, the Team returned back to the Corporate Head Quarters and submitted their report. While presenting the report before the Board, they seemed to be very excited and said that“there is a huge market over there, because most of them don’t wear shoes”. The same market, the same set of people, same time but viewed differently by two sets of Teams. One missed in on the opportunity, while the other saw the opportunity and cashed in on it. For too long the Politicians, the bureaucrats, the industrialists and even the citizens of our country, felt that we are a Poor Nation, majority of the population were agrarian and below the poverty line and hence there is very little opportunity to grow. It took an Indian, late Dr. CK Prahalad, the world renowned guru to make us believe that there is “Fortune at the Bottom of the Pyramid”. He strongly believed that if we engage with the people at the bottom of the pyramid, include them in the decision making process and build products that suit their needs at an affordable cost, there is a huge potential market. He exhorted that don’t see the poor and the people at the bottom of the pyramid as a burden, as a problem but see them as an opportunity. Im reminded of the saying “a Pessimist is one who sees a calamity at every opportunity and an Optimist is one who sees an opportunity at every calamity”. India was being Pessimist for too long, seeing the Poor and the People at the bottom of the pyramid as a Problem and not being an Opportunist, seeing the same people as an Opportunity. So Governments, Bureaucrats were doling out subsidies, giving out freebies to the Poor people and never let them get out of the vicious cycle of poverty. Offcourse it did help the Politicians in them to keep them at that stage to cater to their Political needs. For if they became prosperous, who would care a hoot for these politicians. It served them to keep them poor in perpetuity. He said that we were eying the Poor as a burden and not looking at them as a Market Opportunity. We were looking at them as Wards of State, when we had to look at them as Active Market. He said that we had to shrug off our mindset from being Resource Constraint to Imagination Constraint. He asked the Government to move away from the strategy of Poverty Alleviation, Subsidies and viewing the The Poor of India as an Intractable Problem to The Poor of India as a Potential Market and further went on to say that the Poor of India can be a source of innovation. He said that for those willing to invest time, money & effort, there is a huge New Market, opportunity for huge Innovation and Growth. His goading of the Industrialists paved the way for Jugaad Innovations and the opening of the Indian market and the growth subsequently. Indian economy was growing sub 5% for large period of time and even grew above the single digit for a couple of years. With the opening of the economy in 1992 and the changed mindset largely influenced by Dr. CK Prahalad, we are now back to growth rates of 7%+. Contrary to popular assumptions, the poor can be a very profitable market- especially, if Organisations are willing and able to change their business models. The bottom of the pyramid is not a market that allows for traditional (high) margins. It’s a game of high volumes and low margins. Jugaad Innovation or Frugal Innovation is the key and Organisations who continuously innovate and tailor make for these sections of the society, will be richly rewarded. To fully capture this opportunity, those at the bottom of the pyramid must not be viewed just as market opportunities but be made as active market participants. “We recognize that people are at the center of sustainable development and in this regard, we strive for a world which is just, equitable and inclusive and we commit to work together to promote sustained and inclusive economic growth, social development, environmental protection and thereby to benefit all”. While every organisation, Heads of State, society & individuals are clamouring for growth, the time has come for us to ensure Sustainable Growth. Every actor in this planet is fast consuming the Natural Resources and is threatening to deplete these resources. At the same time the growth cannot be achieved without being Inclusive. We need to ensure that we carry all sections of the society as diverse as it can be – geographical, ethnic, gender, physical abilities, language, religion, spiritual beliefs, political affiliations, sexuality, urban or rural, etc. in our journey of growth. their differences, but because of them. It requires a conscious effort to involve all People in the fabric and mission of the Society as a critical value add. We also need to view growth as a means to an end and not an end by itself. There is this constant debate and dilemma of Quantity vs Quality. We need to ensure that we give priority to the quality of growth over the quantity of growth. While India is the fastest growing economy in the World, sadly on the Human Capital Index we are ranked 105 in the World (2016) out of 130 countries and on the Happiness Index we are ranked 118 and even below Somalia (76), China (83), Pakistan (92), Iran (105), Palestinian Territories (108) and Bangladesh (110). Inclusive growth should ensure that everyone participate in the growth process, both in terms of decision-making for organising the growth progression as well as in participating in the growth itself. It implies participation and benefit-sharing. Participation without benefit sharing will make growth unjust and sharing benefits without participation will make it a welfare outcome. No wonder Governments after Governments were doling out subsidies and grants without any participation of them. To achieve inclusive growth for maximum poverty impact and an inclusive economy, environmental sustainability is an essential consideration. We need to have broader objectives than just increasing income and GDP. It requires governments to proactively work to achieve those objectives, rather than assuming that positive outcomes will automatically come through growth. It should translate into gains in human development and increased well-being. It must benefit all groups of people in the society, including the most marginalised. The Government must engage & consider their active participation, not just distribution outcomes but let them have a say in how the economy is to be shaped & run. At the same time we should be responsible in our growth and promote the use of sustainable natural resources and climate protection. The Government should investment in Human Capital through the Right to Education, providing necessary infrastructure for Basic Education in Schools, Attracting & Rewarding good quality of Teachers, updating the Curriculum in tune with the development of the Society. The aim should be Job creation rather than doling out subsidies. Bring about Structural transformation and broad-based growth through Progressive tax and Industrial policies. We should adopt a Non-discrimination policy and ensure , social inclusion and participation and providing Social Protection as needed and building Strong Public Institutions – Political, Judicial & Media. We need to bridge the gap between rich and poor and work towards lifting billions of people out of poverty otherwise there will be social decay, political chaos, and unrest. 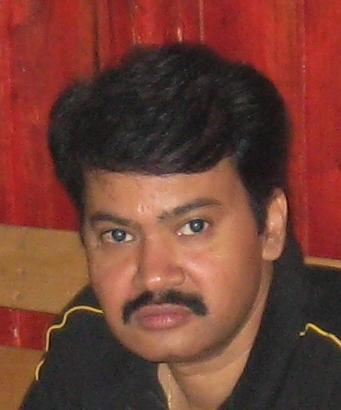 Ramesh Ranjan is the Founder & Head & Editor of the HR Portal ww.humanengineers.com & www.hrdirectory.in . He is a Leadership Coach, Mentor for Startups, Blogger & a Speaker. He is currently the Vice President of NHRD Bangalore Chapter. 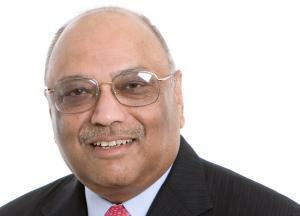 Till recently he was the Vice President HR Services @ Schneider Electric. In a career spanning nearly 3 decades, he has been Head of HR and held leadership positions in India & globally in organisations like Schneider Electric India, American Power Conversion (APC), Chevron Texaco/Caltex India, Praxair India, Co Systems India, Indian Herbs & ITI. He was the Honorary Secretary of the National HRD Network, Bangalore Chapter, member of the India HR Council of the AMCHAM, New Delhi, Member of the Roundtable of HR Directors of Petroleum Companies, and Member of the India HR Council of Conference Board.